Class 438 / Class 491 4-TC Unit - Exclusive OO Gauge model manufactured on our behalf by Bachmann Europe. We are pleased to announce that we have commissioned Bachmann to produce the Class 438 / Class 491 4-TC unit. 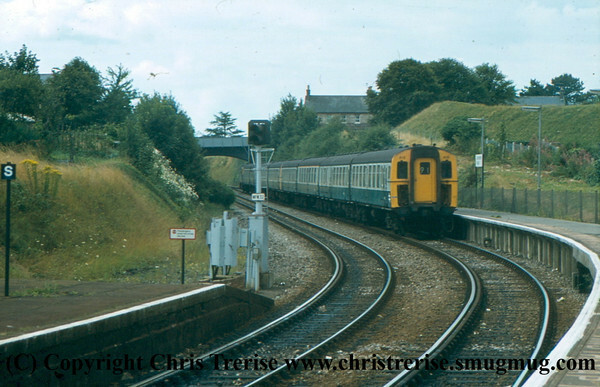 When the route from London Waterloo to Bournemouth was electrified in 1967 there was insufficient funds to complete the electrification of the route through to Weymouth. 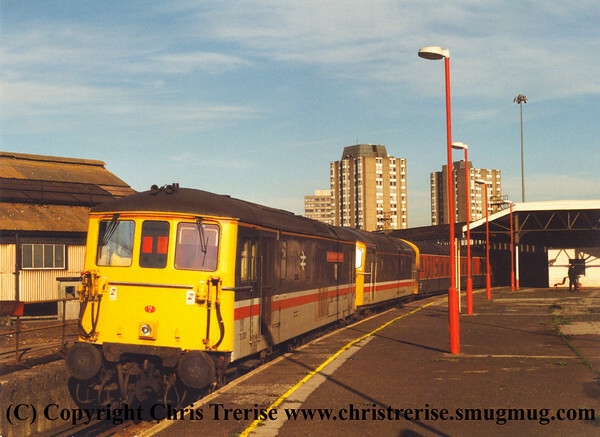 An alternative method of operation was designed with high-powered Class 430 4-REP units propelling one or two 4-TC units from Waterloo to Bournemouth. 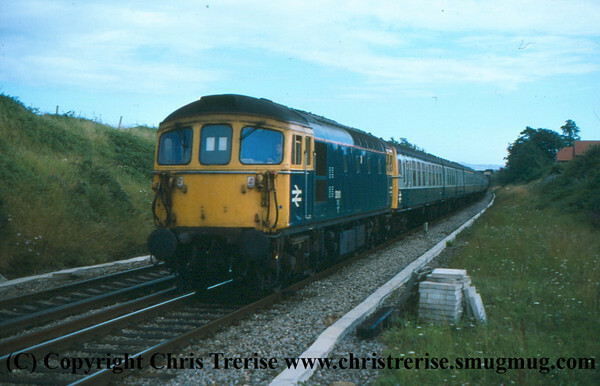 At Bournemouth the 4-REP would be detached and a Class 33/1 Diesel Locomotive would be attached at the Weymouth end to haul either one or two 4-TCs through to Weymouth. 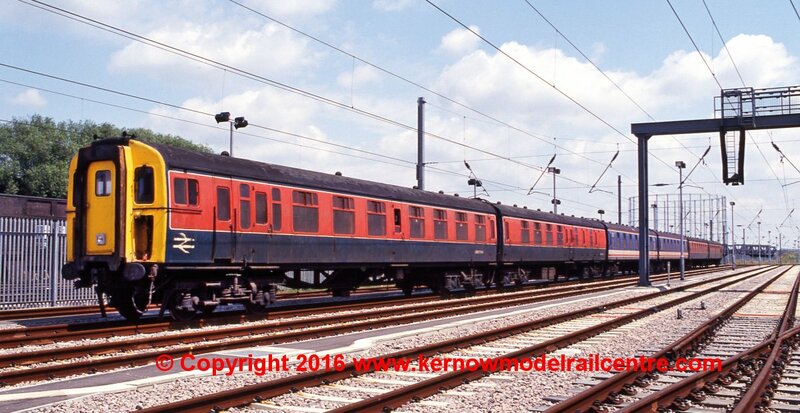 In the reverse direction the 4-TCs would be propelled from Weymouth to Bournemouth where the 4-REP would then haul the 4-TCs to Waterloo, leaving the Class 33/1 at Bournemouth to await the next Weymouth service. 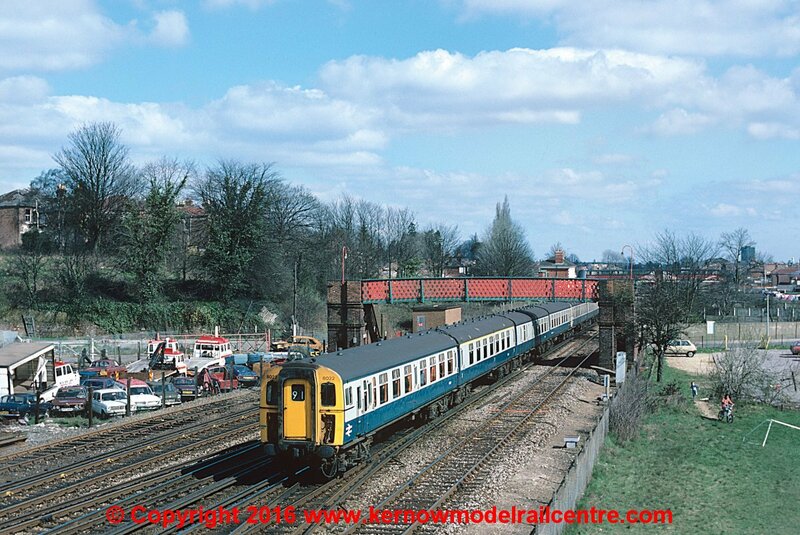 Driving control was via the Southern Region 27 core multiple control cables. Power for heating, motor generator and compressor sets was obtained from a 4-REP unit or locomotive on standard heating jumper cables at underframe level. 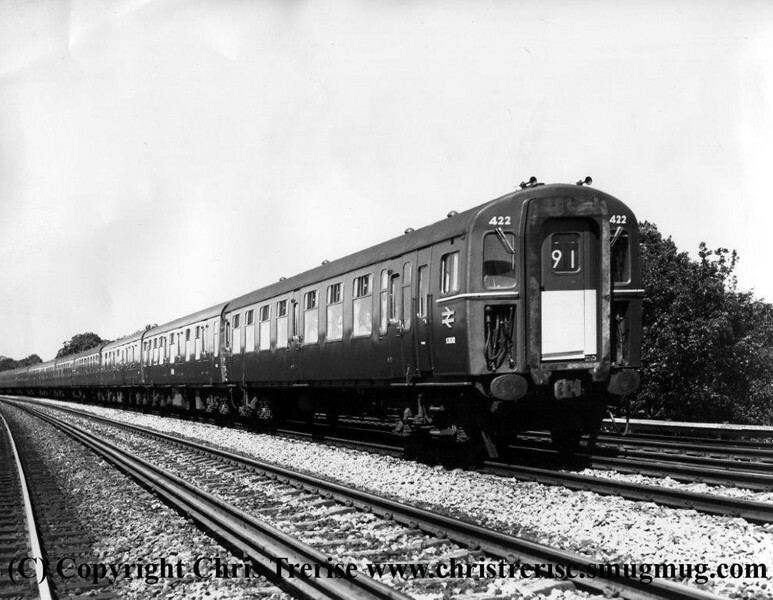 The TCs could not only work in multiple with 4 REPs and Class 33/1s but also with Class 73s, Class 74s and compatible 1951/57/63 EMUs. 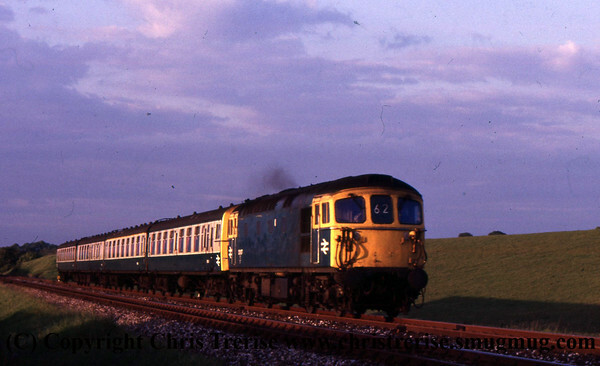 With the electrification of the entire Weymouth line complete by 1988, along with electrification of other South Western division routes, the need for the 4-TCs was removed and most were withdrawn by 1990. 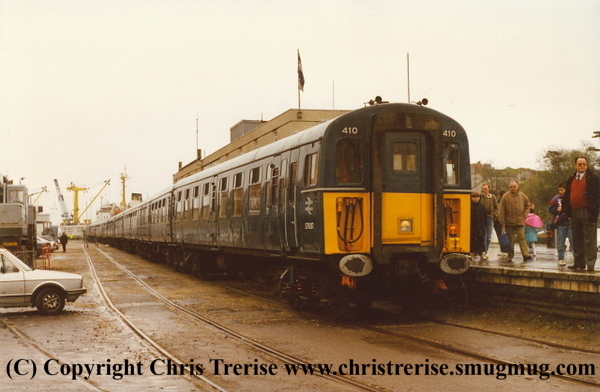 Two units were retained and repainted in original blue livery, albeit with larger yellow warning panels, with the intention to use them for "Premier Charters", a role which they performed until 1994. 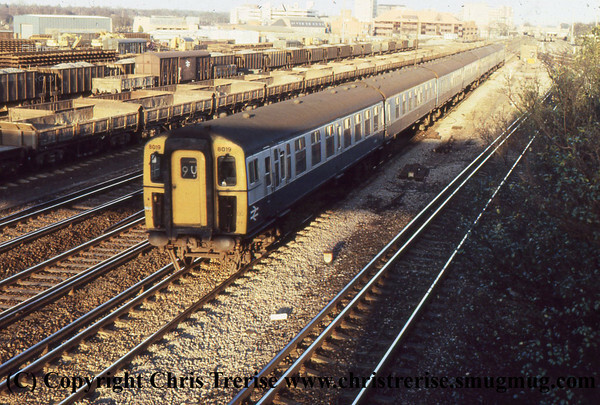 The Southern Region regarded the 4-TCs as Electric Multiple Units even though they were unpowered. 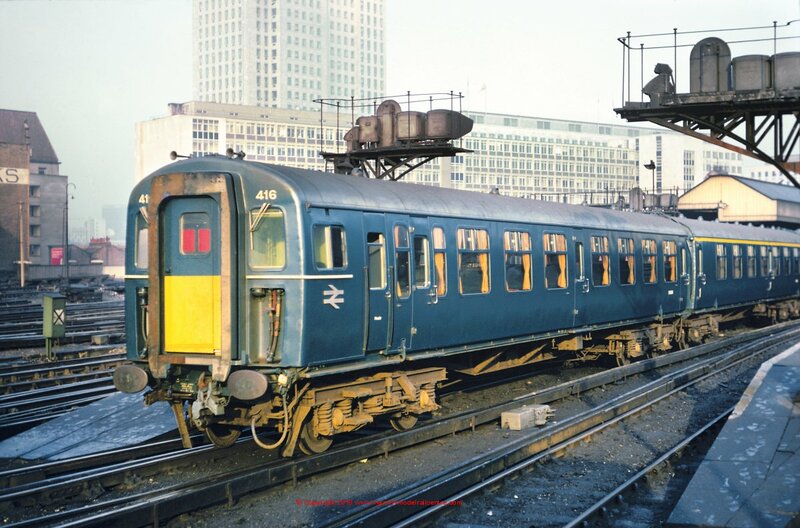 Class 491 4-TC Unit number 422 in official BR Publicity image from 1967. The intermediate coaches appear to be REP vehicles! 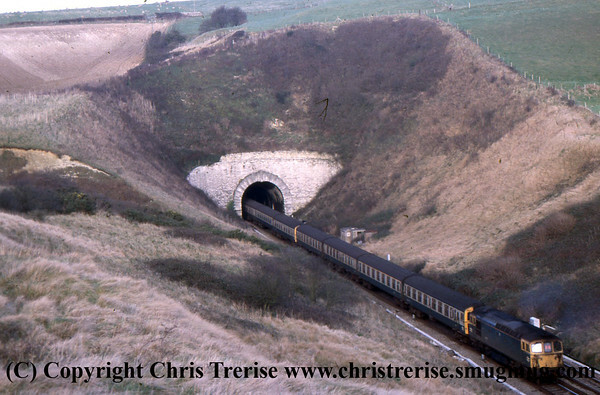 A pair of 4-TCs are propelled by a Class 33/1 into Bincombe Tunnel in 1989. 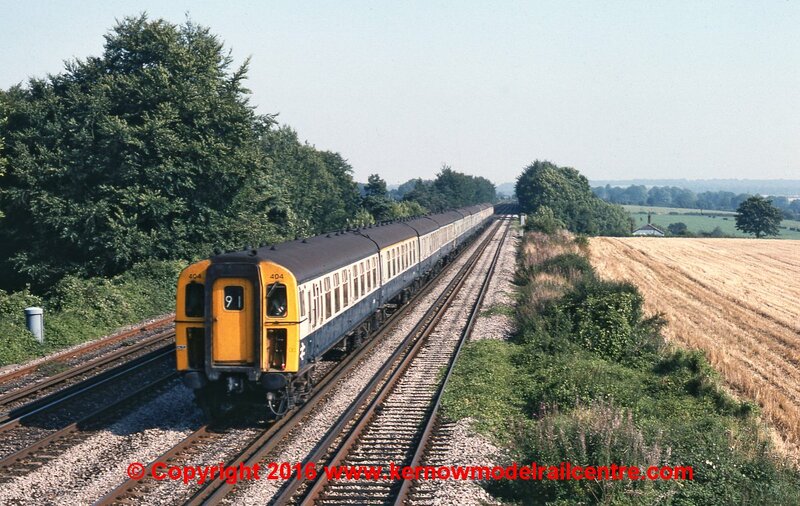 4-TC units 410 and 409 are propelled into Dorchester South by Class 33/1 Diesel number 33 112 in August 1981. 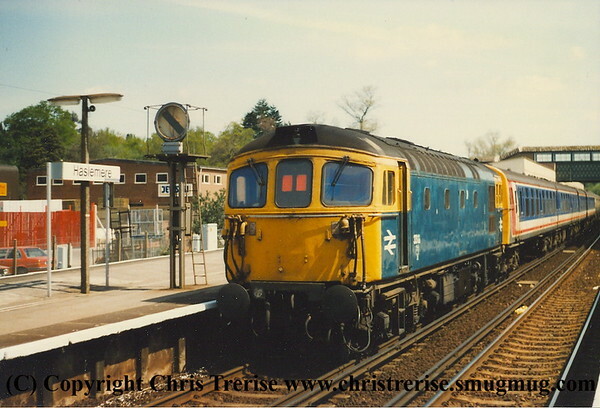 Class 33/1 Diesel number 33 111 is seen at Haslemere propelling the 1103 Portsmouth Harbour to London Waterloo, formed of a 4-VEP and a 4-TC in May 1989. 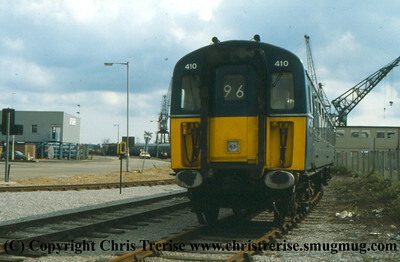 4-TC units 410 and 417 are seen at Weymouth Quay with Class 33/1 Diesel number 33 109 in April 1993. This will be available in six liveries - full details of these are shown below. Working internal lights are fitted and head and tail destination blinds also illuminate. Separate connecting doors are provided to give variations in headcodes, similar to the previous Bachmann 4-CEP model. The unit is wired throughout using connectors similar to the Bachmann Blue Pullman model, which allows full electrical connectivity while also allowing relatively easy uncoupling when required. Switches below the unit allow the internal lights to be switched on or off, and also allow for independent switching of the destination blinds at the front and rear of the unit. The model is fitted with a 21 Pin DCC Decoder socket and also has provision for DCC Sound fitting. One decoder is required for DCC operation and is fitted within the luggage compartment of the TBSK vehicle. The switching arrangements for internal unit lighting are replicated for DCC and can all be controlled from the single decoder. Commenting on the new models, David Haarhaus, Managing Director of Bachmann Europe, said "We are delighted that Kernow Model Rail Centre chose the award winning Bachmann Branchline Range to partner with their desire for a OO scale 4TC model. Having worked with Chris and his team for many years, across many projects, we mutually understand the importance of delivering the very best quality and uncompromising detail. 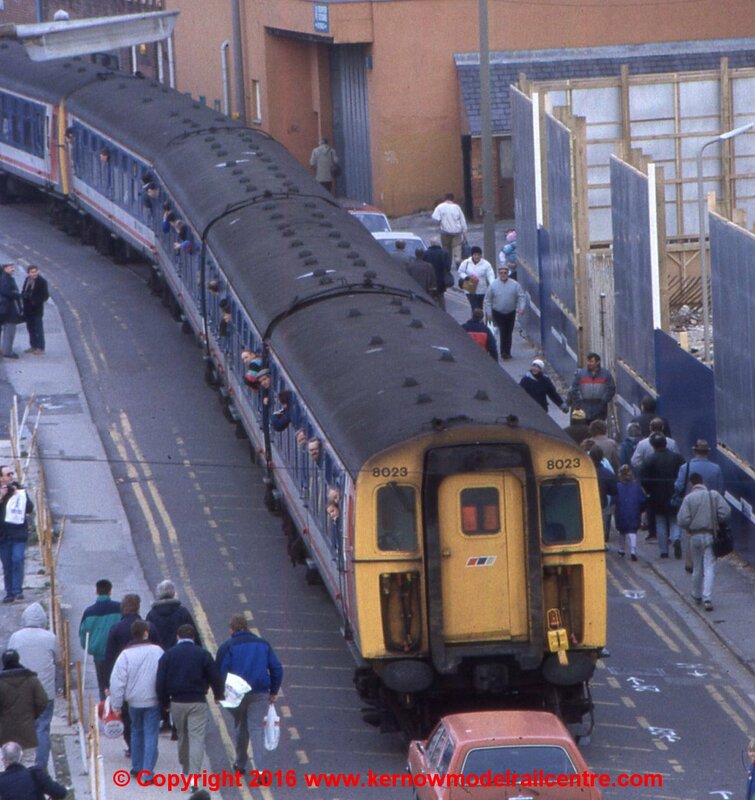 I would like to thank the Kernow team and our own engineers for their dedication in producing what we believe will be a definitive model of these well-known and long lasting units"
Chris Trerise, Managing Director of Kernow Model Rail Centre, said "When I first left Cornwall to work for British Rail I was based at London Waterloo and was immediately fascinated by the Southern and the variety of units in operation. The 4-TC has always been a favourite of mine and there was never any doubt that Bachmann would produce a model to be proud of. This is probably the largest project we have embarked on but our team work very closely with Bachmann and this has made the entire process very enjoyable. We are really looking forward to receiving the painted samples!" This model required three totally new tools to produce the four car unit, and thus is the equivalent of tooling three completely new locomotives. Despite this we have managed to keep the price of the unit to an RRP of £289.95. A few images of the prototype are shown below, courtesy of Andy York of RMweb. See some of the units on our test layout on our YouTube channel!